 The Clinic program at Harvey Mudd has a rich history. Past project descriptions for math Clinics are available here. Please note that ongoing projects may be governed by confidentiality agreements. You can also view the projects by sponsor and projects by advisor. The goal of this project, sponsored by Dart NeuroScience, was to generate potential drug Targets relaying to memory and neural plasticity, focusing specifically on Alzheimer’s disease. We have developed a novel methodology built on existing network analysis algorithms to identify key genes implicated in Alzheimer’s Disease. This methodology can be used to identify potential drug targets for Alzheimer’s, and in the future might also be used towards drug discovery for other diseases. Our task was to automatically detect and read the handwritten addresses from EDR’s collection of 1.2 million Sanborn maps. Sanborn maps are detailed city maps produced regularly between 1880 and 2006. We used various image processing techniques to first find the street segments, and then detect the handwritten street names and house numbers. We then ran these images through our OCR model, which reliably parsed connected characterizers that are rotated or skewed. Helix OpCo, LLC (joint with Biology and Computer Science): Helix is a private software platform company for personalized genomic products. The goal of our Clinic project was to integrate sequencing results from Helix and activity tracking via Fitbit, and develop a proof-of-concept to monitor these data in research studies. We built a participant monitoring dashboard and conducted IRB-approved human subject studies to demonstrate the dashboard’s capabilities while examining traits related to fitness and sleep. Intel’s TrueView technology can reconstruct three-dimensional video at any location in a stadium using multiple video recordings. However, this system does not extend to audio. This project involved developing an approach to reconstruct game audio at any location based on microphone recordings, to combine with the existing, volumetric video system. After exploring existing, algorithms for sound source separation and localization, we developed a proton system called auVVio that extends these techniques to interactively reconstruct game sounds in 3D. Bing is the second most popular search engine in the United States, Bing’s Livesite Engineering team collects system performance metrics to detect incidents (outages, etc.) that negatively impact the end user experience. These incidents result in a loss of ads revenue and users. Identifying root cause of such incidents requires sifting through a lot of metrics and narrowing down the root cause to one or more key metrics. Our clinic team is working to streamline and automate this process by leveraging statistical models and methods. This project aimed to uncover inefficiencies at Niagara Bottling by taking a more coolest approach to the problem of optimizing transportation processes across Niagara’s facilities. The Harvey Mudd team investigated potential cost-reduction measures through the application of operations research and statistical methods. The end goal of this project was to optimize total supply chain costs across facilities as well as provide invaluable business insights to Niagara. Dart Neuroscience (DNS) is a pharmaceutical company that focuses on developing treatments for memory disorders. The goal of the clinic project was to build biological networks based on DNS experimental data and to create accompanying network analysis tools. The networks and tools will help DNS better understand memory processes and find drug targets, with the goal of improving long term memory. The EDR clinic team was asked to work on a solution for EDR which would enable them to tag key pieces of information that appear in State and Federal Government environmental documents. As a major holder and distributor of environmental for finding desired information in thee documents than their current methods allow. Since an environmental professional might be interested in multiple aspects of any given document, the EDR team has explored classification and search techniques for both images and text in order to analyze and tag documents. The team’s work will be formatted as per EDR’s request, for adoption by EDR, and merging into their current systems. Independent organizations called Independent System Operators are constantly calculating how to most efficiently meet the country’s demand for power. They communicate this information by publishing prices. Our team developed methods for using these prices to estimate power flows through large subsets of the U.S. power grip to better inform Saracen of the state of various lines. Knowledge of these flows will ultimately help Saracen, which trades in a market of buying and selling power, make better trading decisions. SoCalGas provides natural gas services to over 20 million residents of the Southern California region. Each day, SoCalGas must generate routes to service up to 14,000 individual customer orders. The SoCalGas Clinic team worked to improve the vehicle routing process and route quality through district design and parameter optimization. EDR provides a range of products to allow property stakeholders to manage their assets and liabilities. Many of EDR’s products involve determining if two textual records refer to the same location. EDR would like to improve on the speed and accuracy of these comparisons through automated matching algorithms. Our team has developed a systematic approach to build and test matching algorithms grounded in probability and statistical learning theory. This project is looking at ways to generate random numbers via shared entanglement on a quantum network. The eventual goal is a distributed randomness beacon using our quantum protocol. We started by looking at networks of 4 and 8 node planar graphs. We analyzed possible malicious actions to investigate the effects an adversarial node can have on the network. We also consider other network topologies as possible candidates for this distributed randomness beacon. Bing is a Microsoft search engine that currently holds approximately 30% of the search engine market. It is critical for Bing to ensure that service remains fast and reliable. This year the Microsoft Math Clinic Team implemented efficient and accurate algorithms to detect anomalies in Bing live site data. The team also created a tool to determine optimal parameters for different algorithms. Understanding how fish populations change over time helps the National Oceanic and Atmospheric Administration (NOAA) to prevent overfishing and protect fisheries. The Ecosim model describes the change in biomass per species over time for an entire marine ecosystem. The model itself leaves many parameters unspecified which must be inferred from the data. Our goal has been to algorithmically determine sets of parameters which allow the Ecosim model to best predict our data. The Pharmavite clinic team worked on creating and implementing a finite scheduling tool to generate an optimized work order schedule for the manufacturing processes of Pharmavite’s San Fernando facility. The tool will reduce current costs and non-value added time by minimizing bottlenecks, creating visibility to capacity constraints, and optimizing other factors. The team is developing a tool to estimate the cleanup cost for managing environmental risks, on a commercial real estate property. Users of the tool would input the location of a property, and based on the site’s historic use as and proximity to gas stations and dry cleaners, as well as regional considerations, receive as output a range for the potential cost. As cloud storage becomes more prevalent, greater demands for security and accessibility are placed on searchable databases. The goal of our project is to develop a scalable, efficient strategy for search- ing distributed, encrypted databases. Popular existing approaches were not designed with encryption in mind, leading to prohibitive overhead. We provide a proof of concept (via a well-documented API) of a sublinear encrypted search architecture by implementing and benchmarking our solution. Given security data collected in the duration of an attack, the team will structure the data, explore the data, evaluate the possibility of determining if and when an attack occurs, and attempt to develop algorithms for detecting relevant patterns in realtime. If successful, the team may work toward developing a package for analyzing security data for Rapid7. Researchers catalog large volumes of data into biological ontologies, graphs that denote relationships between biological descriptors, such as indicating that cystic fibrosis affects the lungs. The Monarch Initiative developed a program that utilizes ontologies to compare genetic diseases across species. This Clinic focuses on designing and implementing a faster algorithm via thresholding, a method of reducing the required calculations by only looking at data that meets a given level of significance, which naturally lends itself to parallel computation. NationBuilder creates community organizing systems to help governments, businesses, nonprofits, and politicians manage their campaigns and communities. NationBuilder’s clients generate vast amounts of data, much of which is currently underutilized. NationBuilder would like us to rank their clients’ constituents by how likely they are to carry out specific future actions, such as donating in a future campaign or voting for a particular candidate. Ultimately, this will allow NationBuilder’s clients to derive more value from the data they already collect. Processing big data often involves Extract-Transform-Load (ETL) workflows, whose operations clean, verify, and join multiple data sources into one output. For large input data, debugging these workflows becomes incredibly time-consuming. We designed a program, accessible to the data scientist user, which automates reasoning over and test performance for various parts of the workflow. The technology department at Walt Disney Animation Studios logs large amounts of data tracking the actions of their tools and tasks of their users. They would like to mine this data for time-based patterns or correlations. To assist in extracting useful information from the data, we have created scripts that graph and visualize the data, and we have used these to investigate meaningful relationships between users and tool usage. E. & J. Gallo Winery has requested a program to evaluate the size, type, and quantity of new tanks required to accommodate increased volume and variety of wine production at their Livingston winery facility. Our team focused on modeling the allocation of storage tanks to a full harvest of different wine types, with a target solve time of only a few minutes. Our program recommends new tanks to purchase based on the projected harvest, costs of varying tanks, and quality constraints. The 2012–2013 InstaMed Clinic Project seeks to implement and evaluate algorithms that use past healthcare claims in order to provide prompt cost estimates of medical services for doctors and patients. The team approaches the project using a simple statistical, heuristic approach as well as more advanced machine learning archetypes of decision trees and neural networks. The team also intends to provide InstaMed with a platform suitable to evaluate the accuracy, precision, and versatility of algorithms. Recent events have prompted the Securities and Exchange Commission to institute new regulations to prevent extreme market behavior. These regulations take effect for short periods of time when individual securities rapidly change in price. However, the impact of these regulations on market behavior has not yet been extensively studied. Our project is to apply quantitative techniques on high-frequency market data to determine the impact of these rules on securities. Shell E&P spends millions of dollars every day on offshore drilling operations. To monitor this process, a substantial amount of drilling data is collected and transmitted to an onshore operation center in real time. The team worked to find a method to analyze the aggregated data to determine for similar rigs when drilling is not proceeding at an optimal rate. The algorithm implemented identifies these suboptimal conditions and then proposes changes of drilling parameters to optimize drilling speed. Southern California Gas (SCG) Company is converting manually read meters to automated meters, obviating the need for employees to visit and read gas meters in person. As clusters of meters throughout Southern California become automated over time, the number of remaining manually read meters will diminish until all meters have become automated. Our team is developing a tool that uses the locations of the remaining manually read meters to generate new cost-minimizing meter reading routes. The DYNAR Clinic team has developed a self-contained educational activity that uses robotics to introduce high-school students to engineering and related mathematics. The high-school students will build an inexpensive, aquatic, remotely operated vehicle (ROV), then use mathematical techniques to track a target using the ROV. E. & J. Gallo Winery is the largest winery in the world. Our project focuses on developing a mathematical model that finds an optimal combination of processing and storage tanks at the Livingston Winery, one of E. & J. Gallo’s largest winemaking facilities. In addition to accomodating future grape harvests, these tanks must also meet the transfer and storage requirements of the winemaking process. To solve this problem, our team has developed a computer-based application that will return a cost-optimal tank mix. Managing energy consumption is a critical problem in maintaining large data centers. The team developed a mathematical model to quantify the energy consumption for alternative cooling systemss, specifically for Los Alamos National Laboratory (LANL) facilities. This model was created by developing a comprehensive engineering analysis that minimizes the power consumption of the cooling system based on changing heat loads and weather given some set temperature inputs. Model outcomes have been validated against efficiency data provided by LANL and a sensitivity analysis. The model will aid LANL in renovating their cooling system to be more energy efficient. In 2002, Shell Oil began monitoring real-time drilling data from offshore rigs in order to detect and respond to potential problems as early as possible. In this project, we aim to design and implement an algorithm that monitors key drilling parameters in real time, automatically detects abnormal behavior, and alerts rig monitors of potential issues. This algorithm is intended to assist rig monitors in detecting deviating trends in drilling data and recognizing impending issues quickly. The Consortium of Ordinary Differential Equations Educators (CODEE), an organization dedicated to improving the teaching and learning of ordinary differential equations, created an educational, differential-equation-solving application called ODE Toolkit to pursue its goals. During the year, we have implemented an additional numerical solver capable of handling stiff differential equations, made necessary changes to the software’s architecture, fixed bugs in the software, and conducted user testing regarding bugs and the usability of the software. The Dynamic Networks for Aquatic Robots (DYNAR) research group is developing algorithms for autonomous submarines to cooperatively search an aquatic region. The Clinic team has implemented multiple randomized search algorithms for three-dimensional bounded environments and tested them in simulation. In an aquatic testbed, the team has improved computer-to-submarine communication and creates software for tracking the motion of submarines. The search algorithms have been implemented in the testbed to compare data from the physical environment with theoretical results from the simulations. Geosynchronous communications satellites must be precisely pointed to ensure proper payload delivery. The team was tasked to explore modern control theory including multiple-input/multiple output techniques to improve the fidelity of the feedback control system for spacecraft attitude. The control system is designed to minimize the system’s response to actuator and sensor noise. The team will provide simulation data and performance indicators as experimental and theoretical justification for the improved control system. CareFusion is a leading manufacturer of IV pumps. The goal of this project is to provide CareFusion with information about fluid flow in subcutaneous tissue. The project has had three foci: (1) to conduct in vitro experiments on fluid flow in non-living tissue, (2) to further develop two mathematical models of fluid flow in tissue from the Clinic project last year, and (3) to design a protocol for in vivo experiments to validate and inform these models. The Department of Computer Services (DCS) at Los Alamos National Laboratory (LANL) provides computer support to a variety of computing environments. Different organizations within the lab require different levels of computer support. DCS has tasked us with quantifying the difference between these organizations, based on information regarding an organization’s current computing environment and level of received support. A statistical model, measuring the complexity of these computing environments, has been developed, allowing the adequate distribution of computing support to organization at LANL. Blind image deconvolution is an important area of research for the reconstruction of images that contain both blurring and noise, such as images of objects in outer space taken by the Hubble Space Telescope. We present the mathematics behind this process and discuss two software packages that tackle this problem, Pixon and AIDA. In particular, we will discuss our work with AIDA, and the additions we have made to the existing algorithm. The goal of this project is to produce a mathematical model of fluid flow in subcutaneous tissue. Two models have been developed: a compartment model that segregates the fluid into homogeneous regions, and a continuous model that describes the properties of the fluid at each point in space and time. We design and build a multiagent, multiasset stock-market simulator using an object-oriented software development paradigm. The simulator employs a software-driven market mechanism, which handles transactions for instantiated agents based on market and limit orders for multiple correlated assets. Using evolving trading strategies within the simulator, we establish a behavioral model for decision analytics that facilitates statistical inferencing and insight into the dynamics of financial markets and the agents operating therein. We studied a method of statistical arbitrage known as pairs trading, and developed an automated strategy for quantitatively constructing a portfolio of pairs that attempts to minimize risk while maximizing expected returns. Our work builds on the research done by the 2007-2008 Pairs-Trading Clinic Team. While last year’s focus was to implement a basic pairs-trading strategy and optimize parameters, this year’s emphasis is on controlling risk. Blurring is a major challenge preventing people from using digitial cameras in place of scanners to capture documents. To help Laserfiche offer this capability in their document management suite, we have created software that automatically deblurs images without any knowledge of the motion causing the blur. Our solution is a modified version of a recently published natural image deblurring algorithm that exploits underlying patterns in images of text. We have also improved the runtime performance of the original algorithm. Beckman Coulter, Inc. produces a wide range of immunoassays as medical diagnostic tests. Using the prostate specific antigen (PSA) immunoassay, a test for diagnosing prostate cancer risk, last year’s Clinic team modeled the molecular interactions of bead-based immunoassays. This year’s team extended the previous model to encompass the entire immunoassay process, tested the effects of changing experimental parameters by performing the PSA immunoassay under varying conditions, and developed statistical tools to compare model simulations with experimental data. The Clinic team investigated pairs trading, a quantitative investment strategy that identifies and exploits highly-correlated stock pairs to produce a high profit-to-risk ratio. The team designed software to automate testing of this strategy allowing them to reproduce results in the academic literature and investigate the driving factors behind a previously documented trading rule. They identified how sensitive the existing method is to a variety of parameters and have suggested strategies for optimizing the returns along with the fertile areas for further investigation. It is often faster and more convenient to digitize physical documents using photographs from digital cameras rather than scanners. However, such photographs suffer from perspective distortion, bends and folds in the documents and other imperfections. The Clinic team designed and implemented algorithms that can correct these distortions. The team’s system automatically dewarps photographs of documents to improve the readability of the images for both humans and computers. In August of 2011, NASA will launch the satellite Juno to conduct an in-depth study of the planet Jupiter. On board the satellite there are three electrostatic analyzers (ESAs) that will measure the energy and trajectory direction of electrons in Jupiter’s auroras. The behavior and performance of ESAs is well understood in the absence of a magnetic field. It was the task of this Clinic team to account for the effect of these magnetic fields. The team ran computer simulations of the ESAs in magnetic fields of varying magnitude and direction. Mathematical models were then devised for the energy of the electrons and their incoming angle relative to the direction of the magnetic field. These models can be used to translate the data that will be collected by the ESAs into a map of the spectrum of the electrons near Jupiter. Hedge funds often trade thousands of shares of a stock each day. Market impact and liquidity constraints make it a poor financial decision to execute these large trades in a single order. Rather, it is wise to split the order into several small orders to minimize costs. The purpose of this project is to develop and test an algorithm which will efficiently split large orders to obtain the best average price over all shares traded. Sandwich immunoassays have numerous applications in such fields as diagnostic medicine and environmental contaminant detection. Beckman Coulter has approached the Harvey Mudd College Mathematics Clinic Program to assemble a team which will develop a mathematical model of such a system in order to improve the sensitivity and duration of the test. The team has developed a simple kinetic model of the immunoassay and investigated several possible ways to make this basic model more accurate and comprehensive. Cheaper, smaller jet aircraft are reducing costs for airline charter businesses and encouraging them to move to a pay-per-seat model, in which multiple clients can be satisfied on a single flight. The work in this paper automates the structure of the pay-per-seat model. To do so, we develop a minimum-cost aircraft scheduling model with associated ticket prices. After formulating two scheduling models based on past literature, we encode them using integer programming and intend to compare them based on their processing time. The problem of ticket pricing is to estimate a price for eventual use in an online reservation system and also to generate a final ticket price that is both fair to the customer and stable under schedule changes. This price must cover the operating cost not only of flight legs, but also of positioning legs. Future work includes the completion of the scheduling formulations and the formalization of ticket pricing algorithms. Color management, or the translation of color data between electronic devices, entails transforming color data through a perceptually uniform pro- file connection space, or PCS. An ICC profile for a device consists of a set of color look-up tables that are interpolated to transform color data to and from the PCS. Non-smoothness of an ICC profile is defined as banding and discontinuities that the profile creates when transforming a smooth image. Currently, there are no automated ways to identify or reduce nonsmoothness—all corrections must be performed manually. Our project has two objectives: first, to create a metric that can qualitatively measure the non-smoothness of ICC profiles, and second, to develop a method that automatically adjusts ICC profiles to reduce non-smoothness. In this report, we cover the color science background necessary to understand our project, then explain the project’s motivation and goals. We then discuss our approach to modeling the problem, and reveal our proposed strategies for reaching our goals. Finally, we give an overview of this semester’s work and the work plan for the next few months. Many of the most critical medications are injected directly into veins, arteries, or muscles using an IV system. The flow through traditional IV systems is driven by direct displacement mechanisms such as pistons or peristaltic actuators with flow disruption detected by measuring pressure. Cardinal Health’s next generation of systems will combine active and passive components with a sensor (a current HMC Engineering Clinic project) that determines the instantaneous flow rate. The mathematics team designed a control algorithm that incorporates feedback from this sensor to more accurately regulate flow. Regardless of the technology used, the end goal of printing is to produce an output document that pleasingly resembles the input as much as possible. This can be reproducing a photograph, printing a computer screen, or even making two copies of a document as similar as possible. When working with only two devices, the transition between them can be studied exhaustively, but in the general case, we want a tool to make this transition easier. This is accomplished by mapping from an individual machine’s range of colors (like a monitor’s RGB space) to a device independent color space, and is called an ICC profile. At present, while the profile itself is well defined, the inverse transform is very difficult to produce and can have a lot of error from the way it is created. Our project is the design and implementation of two new methods which use dramatically different techniques to generate ICC profiles. Computerized mathematical models that accurately reflect the biological processes of tumor growth can help increase understanding of cancer biology and potentially improve cancer treatment. Furthermore, such models can be used as predictive tools for studying the effects of chemotherapies upon tumor growth and creating more effective and precisely calibrated treatments. In order to study chemotherapy on tumors, our team explored vascular tumor growth by adding a blood vessel network to a pre-existing avascular tumor model in several stages. We first tested a simple vein structure and then implemented more complex vein structures. We will next study the effects of various chemotherapy doses upon tumor growth. Renewable energy technologies, particularly solar and wind, have sustained growth rates of 20-30% per year for the past three decades. However, these high growth rates have not translated into significant gains in market penetration, due to the very small base, except for specific geographic markets such as in Europe. Techniques for analysis of market growth, penetration, and forecasting, while satisfactory for consumer technologies (e.g. cell phones, refrigerators and TVs,), are not widely applicable to renewable energy technologies for which free-market analysis cannot be applied. Specifically, renewable energy penetration is subject to technology “lock in”, regulatory rules, oligopoly control (in certain geographic markets), and fiscal policy. This project seeks to address these issues by first researching and classifying current models used for predicting market penetration, and second, by adapting a selected model to account for the differences in modeling consumables and energy technologies, and to predict the effects of government policy options on innovation and market adoption. Biologists use a technique called real-time polymerase chain reaction (PCR) to collect gene expression data in large quantities. A potential use of this data is to help determine genes that reliably classify samples; however, complications can arise when the amount of data is large. Extracting information from large data sets often requires sophisticated mathematical techniques. We explore several methods, focusing our efforts on principal component analysis and δCt values, or measures of relative gene expression levels. Our current work involves several data sets, including studies regarding lymphoma, leukemia, and cranial mutations in mice. While none of our techniques identify genes that reliably classify patients in the lymphoma data set, we observe promising results with many of our techniques on the other data sets. Today’s digital color printers achieve a wide gamut of colors from the overlay of three to eight layers of ink. Ink is placed on the substrate/paper in different amounts to create a huge array of color mixtures. A standard procedure is to create a 3-D lookup table to determine the amounts of each ink that will produce a chosen color. This table is constructed by printing up to thousands of ink combinations on a chosen substrate/paper and measuring the resulting colors via a spectrophotometer. This information is used to plot the ink combinations within an internationally recognized color coordinate system, and then a regular grid of points is interpolated within this coordinate system to produce the lookup table. Changes in temperature, paper quality, substrate, and even “printer drift” affect how varying ink combinations behave with one another, resulting in the lookup table no longer being accurate. A new lookup table must then be produced to recalibrate the printer. We intend to investigate ways to make this recalibration more efficient than current solutions. Fair Isaac is currently looking to expand their midlevel decision modeling program. To this end the clinic team has been asked to develop an Excel based tool to facilitate the implementation and visualization of an expert decision model of midlevel complexity. Los Alamos National Laboratory is currently researching various properties of nonlinear shallow water wave equations. With the help of the clinic’s liaison, Dr. Darryl Holm, the team is analyzing the distinct behavior of the Camassa-Holm equation. This research investigation will include both a theoretical and a numerical analysis of soliton-like shallow water waves called peakons. For the numerical investigation, the team has created a numerical integrator for the third order, nonlinear Camassa-Holm equation. The theoretical results will be compared to numerical simulations that visualize various aspects of wave behavior in both the one and two dimensional cases. Current search and rescue satellite aided tracking systems can take several hours to determine the originating location of a beacon signal. A new satellite array has been proposed which will allow for nearly instantaneous detection. This new system calls for a different set of equations to be solved in order to determine the beacon’s location. We discuss algorithms for solving the required system of polynomial equations and will analyze the stability and accuracy of each in our future work. We hope to improve the solution algorithm by solving the problem using alternate approaches. The first method, proposed by S.A. Vavasis and G.F. Jonsson, utilizes Macaulay resultant matrices. The second method, due to W. Gu, takes advantage of the geometry of the system to find solutions. We use Matlab for numerical implementation of each method and include a description of the process. The Patriot Act requires banks to scrutinize certain transactions involving an “immediate family member or close associate of a senior foreign political figure”. Fair Isaac’s would like to be able automatically to discern lists of individuals associated with such figures in order to enable banks to detect money-laundering activity more effectively. : This project will focus on the narrower problem of detecting relationships between individuals based on their co-occurrence and context in selected databases. This is an instance of a much more general problem that is often referred to as “relationship discovery”, “link analysis”, or “multi-relational data mining”. : The project will involve formulating the problem, proposing a solution approach, then implementing a solution prototype in software and testing its performance on data supplied by Fair Isaac. One approach could be to use Bayesian techniques to compute the strengths of relationships between entities based on co-occurrence in a data corpus. But the project team will be free to decide on the approach. The project team may benefit from work carried out during a previous HMC/FI Math Clinic, “Intelligent Techniques for Scanning and Extracting Information from Text”. The final report provides a good overview of text processing techniques. That team’s software may be useful for the current project. This project will build on previous Math Clinic projects on Web search, with the goal of improving techniques for topic-dependent relevance ordering. Of the different approaches to ranking Web search results, some are static and global, using the Web as a whole to vote on the relative importance of pages, while others are more dynamic and local, ranking pages only within a search result set or a topic cluster. In a purely static and global approach, if page A appears before page B when a user enters a search query Q, then A will appear before B for all other queries Q’. An example of a local technique is Kleinberg’s HITS technique for link analysis; Brin and Page’s PageRank is global. In a Summer 2002 Math Clinic, a specific approach was proposed for focusing link analysis, effectively making it more local. This 2002-2003 Math Clinic project will begin by evaluating that approach against some competing baseline approaches, then look at ways to blend local and global relevance scores, and compare local analysis within a topic cluster to local analysis within a search result set. The Fair, Isaac clinic team’s goal is to develop a method for constructing dynamic online surveys. We will construct an algorithm which will choose the next survey question based on previous responses, in order to maximize the amount of information about the respondent in the fewest number of questions. When predictions are made based on the respondent’s information, the algorithm will adjust its parameters for both correct and incorrect predictions to be more accurate for future survey-takers. Infrared detectors onboard geosynchronous satellites are used to detect targets of interest. The performance of detectors changes as temperatures change. As temperature increases, noise output increases. The goal of this project is to mathematically model the noise-temperature relationship, utilizing existing data from on-orbit systems. Time permitting, we will propose extrapolation methods that will predict the model’s behavior at even higher temperatures. Deliverables will include a final report and documented software prototype that aids Northrop Grumman in extracting signals from the noisy sensor data. Space Systems/Loral 2001-2002 Clinic team will use nonlinear programming and direct collocation methods to find efficient low-thrust orbit transfers. We plan to use a realistic three-dimensional model of orbital dynamics including optimal thrust steering, possible perturbation effects, and spacecraft attitude. Deliverables include a final report of our work and a prototype software package that finds a fuel-optimal path from low earth orbits to geosynchronous orbits. ViaSat, Inc. is interested in using cryptography to provide secure communication solutions to their clients. In the first phase of this project, elliptic curve crptography (ECC) was reviewed and compared to several alternatives. ECC has many merits, justifying its pursuit. The research in phase I of the project also provided some guidelines for performing elliptic curve cryptography efficiently. This phase, phase II, will focus on furthering the ideas gathered in phase I, and culminate in the development of a prototype algorithm for elliptic curve key generation and recommendation for key-exchange protocols. Polymerase chain reaction amplification, or PCR, is a powerful and widely used technique for producing large quantities of a given DNA (or RNA) species from a small initial amount in a biological sample. The initial sample could contain as little as a single copy of the DNA molecule. Roughly speaking, PCR works by separating the two strands of the double helix, and using each strand as the template for a new double helix. So each cycle of PCR doubles the quantity of the given DNA species present (the PCR product). A recent application is quantitative PCR: the use of PCR to determine how much of a given DNA species there was in the initial sample. The underlying idea is that because of the exponential increase of the PCR product, there is a linear relationship between (i) the time (number of PCR cycles) taken to accumulate a certain fixed threshold quantity of PCR product, and (ii) the logarithm of the initial amount of DNA present. In practice, the accumulation of PCR product is monitored using fluorescent probe molecules called TaqMan molecules. The TaqMan molecule alternatively binds to and is cleaved from the DNA when PCR amplification is occurring. It fluoresces (under ultraviolet light) when it cleaves from the DNA. As more DNA molecules are produced, the fluorescence increases. The number (usually fractional) of cycles after which the fluorescence passes a given threshold value is denoted by CT. Currently, CT values are determined empirically; one can identify the cycle before and the cycle just after the threshold value was reached, and simply interpolate between them to calculate the fractional cycle number CT that corresponds to the threshold value. This is where our clinic project comes in. We would like to determine CT values more precisely, taking advantage of the fact that the plots obtained by graphing increase in fluorescence against cycle number have a characteristic shape. This project has three main goals. 1. Mathematically model TaqMan detection of PCR amplification; 2. Refine model by applying real data from Applied Biosystems instruments; and 3. Develop algorithm for automatic calculation of CT values. The motivation for the project arises from the manner in which the performance of semiconductor equipment used for the manufacture of integrated circuit (IC) devices is tested and specified. Typically, one defines the critical parameters associated with the output of such equipment and devises tests to verify that the system meets a specified set of criteria. For example, one such parameter could be the repeatability of the rate at which an etcher removes material, and the specification could be that the standard deviation of the etch rate is less than 1%. The purpose of this project is to design a decision framework to translate consumer preferences and tradeoffs into a model that makes smart and rapid choices about product offerings. Students will be given a particular website (to be determined) that offers products to consumers; they will attempt to improve its usefulness and value to customers with utility-based prediction/decision models. For instance, many sites use simple “knockout rules” to find products a consumer wants. Sites that make use of consumer preferences should be able to make offers that are very responsive to consumer needs and that are an improvement on models that use “collaborative filtering techniques” to detect patterns of pooled individuals but do not elicit the notion of preferences or utility. Space Systems/Loral is one of the world leaders in the design, building, launching, and management of weather and communications satellite. Because the cost of raising propellant into orbit is roughly $10,000 per kilogram, determining the optimal launch parameters for getting a satellite into orbit efficiently may ultimately save millions of dollars. At present Space Systems/Loral’s electric orbit raising (EOR) algorithm which is used to determine trajectories for optimal propellant usage is, unwieldy, unreliable, and difficult to use. It consists of numerical routines that arrive at a solution, but does so in a ponderous fashion. It may also produce solutions that are local minimum but not globally optimal. This clinic would concentrate on improving the efficiency and reliability of the EOR, goals include 1. Reduce processing time; 2. Implement a more efficient ODE solver (at present the routine uses fourth-order Runge Kutta); 3. Improve the optimization routine; and 4. Develop methods for accessing if a locally optimal solution is globally optimal. The purpose of the project is to study the mathematical risk structure of preemptive offers, the effect these have on the likelihood of acceptance and thereby develop insights for the design of decision models that characterize successful preemptive offer strategies. The team’s goal willbe to assess the expected costs and benefits accruing from one or more decision models for preemptive offers. A simulation of the decision process will be demonstrated, using a range of realistic parameters and account data supplied by the sponsor. An analysis of model behaviors will be distilled into a recommended strategy for the sponsor. This clinic project will explore the application of ‘link analysis’ to large datasets representing these networks. Link analysis attempts to improve on basic search techniques by analyzing both the properties of the nodes and the properties of its linkage to the network. This project will produce a written survey of the literature of link analysis, with a focus on techniques and models that appear to be useful for detecting group behaviors of interest to HNC. New models and techniques may be proposed by the team. If feasible, the team will implement and evaluate one or more of these models on a small-scale HNC data collection or simulated data and make recommendations for applying the techniques to full-scale data collections. 1. To incorporate an improved mathematical model of the orbital mechanics, both for the launch phase and the on-orbit phase of the mission. In particular, perturbation analysis of the exact orbit changes produced by each thruster firing will be considered a better model for the thruster firing than the instantaneous impulse model assumed last year. 2. To analyze empirical data provided by the project sponsor and its suppliers in order to better model the distributions of the various dispersions involved. 3. To review the existing software code in order to look for possible inefficiencies and discrepancies from sponsor expected results and to provide user documentation for the software. The goal of this project is to develop requirements for finding efficent Chinese Postman routes in an analysis of networks known as the Edge Partioning Problem. Consideration must be given to ESRI’s client needs in enforcing rules on the partitioning of networks. The team should construct realistic test scenarios and databases using ESRI’s products, ArcView and ARC/INFO, and use ESRI’s NetEngine product to store salient properties about the network. The team will work towards developing computer programs which use NetEngine to partition a network and solve the Chinese Postman Tour on each partition. Included in many of the data sources Fair, Isaac works with are free-form text fields filled with typed in comments that convey unique or important information about the record. This project requires the development of a set of automated methods that can scan such text fields across many observations in order to find and report upon important words or phrases found. The methods must be intelligent enough to approximate the information a person would report if she scanned the text by hand, and flexible enough to handle abbreviations or typos which may be present in some of the data. Owen Racing Shells is one of the leading designers of eight-man rowing shells. In this sport, proper boat design must complement a team’s athletic ability. This team will work towards understanding and contributing to ergonomic racing shell design. The project will begin by analyzing the present design of racing shells. The clinic team will undertake a comprehensive literature search and construct a block model of the dynamics of the shell. This model should explain the role of the shell’s components in the transfer of energy from the oarsman to the forward momentum of the boat. This model will then be used to identify which components of the shell are the most important in improving efficiency. In particular the team will study how modern composites can best be incorporated to reduce weight to a minimum while maintaining necessary strength. Our goal will be to design an algorithm that allows evaluation of the effect of a material’s properties on the shell’s design. In recent years wavelet representations of images(and time series)have been used in a wide variety of applications, including lossy compression, de-noising, and image registration. Standard detection and classification theory based on the representation of the image on a two-dimensional grid is quite mature and has a number of applications in sensor system signal processing, robotics, and medical imaging. Some of the difficulties in these standard applications of image detection and classification arise when the shape of an object is known but its scale within a given image is not. The multiresolution capabilities of wvelets allows the simultaneous inspection of an image at different resolutions. It is desirable to determine what combinations of objects(and associated backgrounds)have enhanced detection and classification performance when represented by their wavelet coefficients within an image. The project should begin by casting standard detection theory in the language of wavelet image representations. This project should develop a testbed for use of analyzing the utility of wavelet transformed images for classical detection and classification. The testbed should be implemented in Matlab(desirable to be independent of computer platform), allowing flexibility of analyzing synthetically generated images or real images from external sources in a variety of standard image formats. This Wavelet Detection Testbed should have the flexibility of using many of the standards basis wavelets studied over the last 10-12 years. Finally, a vartiety of different kinds of images, slected in conjunction with SAIC, shall be analyzed for the utility of the wavelet approach to detection and classification. The useful mission life of an orbiting satellite depends on the amount of propellant that reamins after completion of the complex maneuvers required to place the spacecraft in the desired location and orientation. Propellant usage depends significantly on the dispersion in the performance factors during the launch and orbit raising processes. Dispersion in satellite on-orbit performancemust also be accounted for. This project involves the development of an analysis tool for determining the compliance with the on-station life requirement of an orbiting spacecraft. The tool should take into account the following features: nominal statistical treatment of all dispersion factors, selectable alternate treatments for individual dispersion factors, database-derived menu-driven selection and user override of launch vehicle and orbit-raising mission parameters, graphical and tabular displays of results with an up-to-date and user-friendly interface. A target track is a time-ordered collection of observations representing the position of a target in space relative to the earth. The goal of this project was to implement Multiple Hypothesis Tracking (MHT) for sensor systems with large observations. This required efficient real-time implementation with regard to track formations. Bank of America and other financial institutions have large, varied databases wich are accessed by a diverse set of interfaces such as ATM queries or on-line banking applications. The Concorde Solution Clinic team developed a GUI toolkit for creating and manipulating hierarchical objects which configure the connectivity and behavior of a financial database system. Written in Java for portability, these applications provide an intuituve way for financial institutions to update current databases with minimal downtime—a critical issue to multibillion-dollar financial institutions. Beckman Coulter is a manufacturer of medical instruments used in laboratories for biological analysis. The Clinic team researched and developed algorithms to aid in the data analysis prevalent throughout the variety of instruments and applications. Topic areas researched include outlier detection, robust regression, adaptive filtering, and goodness-of-fit measures. Graphical user interfaces to survey the researched methods were also developed in Matlab. The ESRI Clinic team designed and implemented an algorithm to intelligently cluster points. The main applications of this are mapping and GIS software, in which the points represent geographic locations and objects. The algorithm works in conjunction with ESRI’s ArcView software. Data exploration is a critical step in building models to predict the likelihood of future events. To aid analysis in this step, the Fair, Isaac Clinic team developed a battery of techniques designed to extract interesting patterns from multivariate data sets. These techniques are based on modern methods in statistical pattern recognition, such as projection pursuit, classification trees, and categorical clustering. The resulting algorithms were implemented in software and their effectiveness was tested on several sample data sets. The FAA has contracted with Hughes/Raytheon to build the Wide Area Augmentation System, which will eventually replace the current systems used to navigate commercial aircraft. Using augmented satellite positioning, this new system improves the ability of the present GPS constellation of satellites to deliver the accuracy and reliability necessary to meet FAA specifications for commercial aviation. Because the reliability of this system depends not only on failures and timely restorations of the components (satellites and ground-based subsystems), but also on the movement of the GPS satellites, mathematical modeling of the reliability of this system presents unique challenges. This Clinic developed algorithms and software to aid in assessing the reliability of this system. This was a continuation of a 1996-1997 project in which advanced simulation methods were being explored with the goal of achieving goemetric convergence in the Monte Carlo solution of particle transport problems. Methods based on both correlated sampling and importance sampling were employed. Los Angeles Police Department detectives often need to search and match criminal records from a variety of databases, and perform exhaustive or iterative searches to narrow down the results. This Clinic project developed software to implement improved search management and “smart searches” capabilities. Included in the smart searches is the ability to score records based on their measured closeness and return a prioritized list for the detectives. Though the developed ideas can be used throughout the LAPD, the team focused mainly on improvements to the Homicide Information Tracking System. The Navy has developed the Signature Classification Development System (SCDS), a PC-based system that allows an engineer to develop mathematical formulae that classify possible defects in composite materials based on the signals received from ultrasonic scans. It is also of interest to estimate the posterior probability that a material has a defect belonging to a specific classification, conditioned on knowing the material’s ultrasonic signature. Generally, classification is a much easier problem than estimation of the posterior defect class probability. This Clinic developed two approaches suitable for estimating this defect class probability, and wrote computer software to aid in their implementation in SCDS. Circuit simulators, such as SPICE, require closed form, analyical models for I-V behavior to provide numerical speed for effcient calculations. Current models have become over-parameterized as the 1-D modeling tries to cope with 2-D behavior at short channel lengths. The goals of this project included assessing various existing models, and formulating some 2-D approaches. The Interactive Banking Group at Bank of America is responsible for creating and implementing new retail and commercial electronic banking products such as home banking on the Internet, bill payments by phone, smart card, and commercial EDI. The Harvey Mudd College Mathematics clinic team together with Concorde Solutions, Inc. (a Bank of America software development subsidiary) will have the goal of creating a library of Java- based object models for streamlining Bank of America’s Interactive Banking applications development. Building this library will allow the Bank to create a set of reusable components for building Interactive Banking graphical user interfaces (GUI) and greatly speed the time to market these new retail products. The development environment will be on Windows NT (and Windows 95), Java, C++, Symantec Cafe, and Microline Component Toolkit. The ultimate goal of this project is to develop a means to classify serum protein electrophoresis (SPE) using automated methods. Current classification techniques applicable to SPE will be explored and compared for effectiveness characterized by a range of attributes to be supplied by Beckman Instruments. Other key goals of this project are to develop appropriate tools and algorithms to read SPE data and perform a classification, identify barriers, issues, and possible improvements to SPE classification, and to thoroughly document the background research on applicable classification techniques, issues, potential improvements. If time permits the project will develop, if possible, a new or improved classification technique. As a predictive modeling technology, the neural network (NN) technology generally provides a black box solution. This research aims to investigate and develop techniques to better understand predictions made using NN models. Some of the issues to be considered in this research include the type of NN, the approach to developing a NN model, and the level of network information to be used in the model comprehension techniques. Formal verification is an alternative family of methods that use techniques based on mathematical logic to insure the quality of hardware and software systems. Systems are being designed and built with ever-increasing complexity. At the same time, the testing and validation costs of these systems is growing exponentially. Because of this, many systems are fielded today with a profound lack of proper validation. Formal methods are one of the few techniques with the potential to both cap testing costs and deliver the required reliability/safety in areas such as transportation, spaceflight, telecommunications, banking, etc. Verification takes two approaches. Design verification uses formal logic in the design and specification of a system, providing a structured framework for translating top-level design specifications into a collection of concrete tasks describable by algorithms which can be realized by programmers. Program verification involves proofs of correctness of the programs themselves. A wide variety of tools, such as automated theorem provers and proof checkers, have been constructed to assist in design and program verification, and some of them have been implemented into integrated systems. The Clinic team will survey existing verification systems and techniques during the first semester. Guided by the sponsor’s expertise and interest, the team will identify an application area and appropriate tools, and during the second semester pursue this application in depth. The goal is to create a mathematical model that will establish finished goods inventory levels by product, based on a percentage of customer satisfaction, a percentage of desired backlog, order history trends, forward-looking product marking forecasts, manufacturing lead times and distribution channels. The model will be Windows based, capable of running at the desk-top, portable, and able to chart and graphically analyze the results. ESRI, Inc. of Redlands, California, is a leading maker of Geographic Information System (GIS) software that manages and analyzes data based on geographic information. One capability of ESRI’s products is the determination of the shortest path between two locations in a road network. Dijkstra’s algorithm, currently being used to solve this problem, becomes computationally impractical when working with large networks. The Augmented Level Graph Algorithm can be used in these situations to greatly decrease the resources required for finding the solution, but at the cost of obtaining possibly sub-optimal solutions. The project includes the coding of this algorithm and integration of the code with Network Engine, ESRI’s new programming library for developers of custom GIS applications. The project focuses on the future of powertrain market, including passenger cars and heavy trucks, over a 10-15 year period. The clinic team will analyze two sets of data from 1980-1995, EPA data on air quality in regions throughout California and air quality regulation data provided by the California Trucking Association. The team will then determine the feasibility of statistically forecasting regulatory response to air quality and will also investigate potential frameworks for Eaton’s regulatory model. This project concerns modeling the transport of contaminants through structures such as groundwater flow, ecological systems, and organisms. Current mathematical models of transport in these systems will be researched and compared. The purpose of the project is to attempt to develop a versatile solution algorithm which can provide effective solutions to contaminant-transport problems in a number of areas. Our approach to the project includes creating an adaptable model of transport and solving it in the general case. Working to simplify and improve the process of designing the blades of turbocharger compressor wheels, this clinic team’s aim was first to create a software package with an easy to use graphical user interface. The team also set out to explore techniques that have the capability of improving blade designs. The team expanded on the work of the 1993-94 clinic team by increasing the flexibility of the blade designs. This was accomplished using Bezier curves, as opposed to exponential curves, to describe the cross-sectional shape of the blade. Additionally, the cubic polynomial used to describe the thickness at the base of the blade was replaced with a cubic spline. All of these changes were made in order to find a blade design that could better satisfy the design criteria of achieving low stress, high frequency, and lower mass. The software package developed by this team lets the user easily change the shapes of the blade cross-sections and alter the thickness at the base of the blade. Once this is done, the blade design is then analyzed for stress, frequency and mass, giving the user a measure of how good new blade designs are. Molecular sequence information is increasingly important to clinical diagnosis, especially of diseases or conditions that are under some degree of genetic control. Such information can be used to diagnose carriers of genetic diseases, or to infer predisposition to conditions that are correlated to the presence of genetic markers. Beckman Instrument Corporation, as a leader in clinical diagnostics technology, is developing an automated solid-phase DNA hybridization system that will permit the rapid and accurate screening of DNA samples using arrays of artificially-synthesized DNA oglionucleotide probes. The Clinic team is developing software for predicting the results of solid-phase hybridization experiments, and is writing a software package for optimizing the design of probe sequences. The software package incorporates the most recent thermodynamic theory for DNA-DNA hybridization reactions. Grumman Corporation is interested in the electromagnetic properties of materials that are made of a random distribution of spheres. These spheres have varied radii and material constants such as conductivity. The goal of the project is to develop software that will solve the so-called “direct” problem of scattering. This involves the determination of the radiation scattered by a given collection of spheres ranging over a distribution of spacing and material constants. The clinic will begin in looking at the isolated electrostatic sphere; then evolve into investigation of a periodic lattice of identical spheres. The software developed for this idealized problem will be fundamental to the final goal. Next the problem of random distributions will be tackled and hopefully overcome. Turbine and compressor wheels for automotive turbochargers must be designed to withstand the centrifugal stress caused by high speed rotation and to avoid destructive vibrational resonances. This is accomplished by adjusting the thickness of the blade at all locations to meet maximum stress and minimum resonant frequency limits, subject to the side condition that the blade satisfy certain conditions of smoothness. This design process is tedious and time-consuming. In principle it could be automated using one of various optimization routines which have been developed recently. To do this, both the condition mathematically, and software must be written to make changes in blade thickness, check for (or impose) smoothness, execute the code for calculating stress and vibrational frequency using one of several existing finite element routines, check the results against preset limits, and repeat the process until the limits are satisfied. Workers Compensation rate levels are established by the state. We know by anecdotal evidence that there are differences in loss potential (“loss cost”) by county or by groups of counties. E.g., the Los Angeles area is considered to be more expensive than the Bay Area. One of the variables influencing this territorial difference may be attorney involvement. The goal of this project would be to see if this is true, to find other possible variables, and to quantify their effect. DNA sequence identification has widespread applications for many medical and biological disciplines. These applications include identification of genetic diseases and genomic fingerprinting for forensic purposes. The objective of this project is to produce a software package for predicting solid-phase hybridization between a known oglionucleotide array and a known sequence of DNA. These oglionucleotide arrays use hybridization as the central dogma for detection of, for example, genetic diseases. This software package will include data entry methods, a means to analyze the thermodynamic values of the input data, and a means to analyze sample interaction with the array. The ultimate goal of the software package is to provide the user with a graphical representation of the initial data. The objective of this clinic is to design a self-contained graphical design environment for the creation of realistic surface textures. This environment will allow the user to design textures using natural controls that respond in real time. This system will contain parameters related to lighting and scale, among others. The system will be augmented with additional features as agreed upon by the clinic group and the HSC liason. Examples of possible features are 1. High speed animation of textures. 2. Controls for the manipulation of 2-dimensional objects. 3. Controls for the manipulation of 3-dimensional objects. With the assistance of the HSC liason, the clinic group will develop the system specifications, study and develop appropriate algorithms, and implement the design environment. The JPL clinic project entails development of an interface to HyLite (Hypermedia Library Technology) that is under development at JPL. The purpose of our interface is to develop the methodology for a full hypertext facet of HyLite, to be used in both publishing information in the library and in later accessing it. We will address the needs of storage of large and diverse collections of multimedia documents, such as programming aids, patent information, manual pages, or planetary exploration information. Adding a new document to such a database can be a difficult and time consuming process, as it is necessary to create hypermedia links that will connect the new document with the rest of the database. Our clinic team seeks to optimize this process, from the viewpoint of the users, as much as possible, by partially automating the creation of the hypermedia links and by maintaining an efficient user-interface design. These improvements will significantly increase the usefulness of the HyLite. Seismic data reflects geological structures and is a primary source of information on the composition of the underground. The management, processing and interpretation of this data is a major task because of its immense volume. This project will develop methods for compressing and decompressing such data so that it can be efficiently stored while minimizing the loss of detail when used to recover information on underground structures. Both lossy and non-lossy algorithms will be considered. The physical source of the data leads to coherence between adjacent data slices which should be useful in reducing the amount of information that needs to be stored. Discrete (Hamming codes) as well as continuous (wavelet transforms) methods have been used in the compression of visual image data, and this work can provide some initial ideas and points of departure for the project. Both processed discrete data, consisting of 8-bit values representing the amplitude of the wave field, and floating point 3D seismic data are available. The project will consider the relative advantages of using each of these types of data. During the last thirty years, “chaotic behavior” has been experimentally observed, numerically documented, and theoretically established in a wide variety of dynamical system arising in different field of mathematical science. Undergraduates, particularly science majors, are increasingly exposed to this new area of research in several different courses in mathematics, biology, physics, etc. This project created an educational package on Chaos, that could be used as a support material in courses such as Differential Equations, Numerical Analysis, Probability, Neural Networks and others. It consists of a manual on concepts involved in the theory of chaos, along with examples on which to apply them. It also includes a set of computer programs which enables students to test the concepts of this manual on the examples and on other problems of their own. A computer manual describes the feature of the programs, the options available, and illustrates, with some examples, how the entire package can be used. Knowledge-driven hypermedia technology combines techniques from artificial intelligence and hypermedia (graphics, text typesetting, animation, video) to represent knowledge in several forms that can be manipulated by users. An application of this technology is in classifying, cataloging and distributing software components in order to promote more efficient software development and reuse. The Encyclopedia of Software Components (ESC) is a tool which allows users to build, maintain, search and browse through very large collections of software components. The Mathematics Clinic team will concentrate on the task of identifying, classifying, collecting, and including into the ESC a coherent collection of reusable software. The team would consider adding a collection of data structure components to the ESC which will facilitate its use. A possible further task of the Clinic would be the design and implementation of such a library in a portable C, documenting it in the hypermedia style of the ESC, and encoding a classification of the components of the library. Another possible alternate task would be to classify and document in hypermedia format the GNU suite of software components and to collect the free AI tools which are available from ftp sites. This project will combine modelling, analysis of special cases and the development of a numerical method for designing the coating of a waveguide in order to maximize the attenuation of electromagnetic energy impinging on it. The derivation of the impedance that would achieve the desired attenuation for a simplified scalar one dimensional system will be used to gain intuition into the more complicated multidimensional vector problem of primary interest. Analytical expressions for the attenuation will also be sought for cylindrical waveguides with coatings of various electrical properties. These will be used to design coatings for a waveguide to attenuate electromagnetic energy by a prescribed amount over a given band of frequencies. The second phase of this project will concentrate on refining previous clinic work on numerical algorithms for designing optimal waveguide coatings. One goal is to redesign these programs so as not to use proprietary general purpose software and to increase their portability and efficiency. The team will also investigate the possibility of extending the code to include variable material properties, anisotropic materials, coupling of energy, different boundary conditions, and other effects that will make the program more realistic. Photobased visual systems require a large expenditure of time and resources to generate the databases upon which they operate. The Clinic analyzed the feasibility of using sequential imagery, that is, video or time lapse photography, to automate the process. The Clinic extended the existing mathematical techniques of photogrammetry to time and space separated pairs, and developed methods for generating and optomizing the accuracy of the databases. JPL has developed several metrics during software development for several projects. Limited data about different projects are currently available for statistical analysis. The Clinic intends to perform statistical analysis on the given data and extract useful information for metrics development and analysis. Theoretical models already exist for solar cycle behavior of the trapped proton current at low altitudes. Data has been obtained from NOAA satellites in appropriate energy bands for a complete solar cycle. No one has yet made a comparison of this data with the existing theory. This project examined the data, obtained instrument characteristics, and made comparisons with the existing theory. The aim was to validate the theory, and modify it so that the results could be applied to formulating specifications for the space station Freedom. Computer models are widely used by the U.S. armed forces in order to simulate and predict the outcome of combat situations. Even very simple forms of such models have been shown to have parameter regions where they exhibit great sensitivity to initial data variations and where chaotic behavior may occur. This project extended the work of previous year Clinic on such models and developed a solid mathematical basis for analyzing chaotic behavior in piecewise continuous combat models. Both analysis and simulations were used to explain the connection between chaotic behavior and highly non-monotone parameter dependence in these combat models. In the machine bonding of wire to semiconductors there are several measurable parameters (the “secondary parameters”) which are used to evaluate the overall quality of the process, and there is another set of machine specific parameters (the “primary parameters”) which can be set in order to control the bonding process. In this project a sensitivity analysis is performed on the main wire bonding secondary parameters in order to determine their interaction with the primary parameters controlling the performance of this process. The project centered around the study of the effects of variations in each secondary parameter, and in the interaction between the secondary and the primary control parameters. Moreover, the secondary parameters were grouped using different permutations and the interaction of simultaneous variations in such groupings with the primary parameters were studied. The aim was to develop a control envelope which described the processes’ preset tolerance limits, and which could form the basis for a computer control system of the wire bonding machine. Heat is generated in the densely-packed circuits in a chip and must be conducted away if large temperatures are to be avoided. We model a chip as a thin heat-producing region connected to the exterior by many thin aluminum wires, the whole sandwiched between silicon layers. Using a variety of analytical and numerical techniques we have found the proportions of heat conducted through the silicon layers end through the wires. The team considered the problem of determining a good, in some sense, experimental design when the process of taking observations suffers from severe restrictions in respect to the number of points that can be observed. In particular, the team discussed the minimum number of points needed for estimation purposes of the parameters in the model. They also considered the situation where the experiment didn’t allow them to estimate the error in the model. For estimation purposes, different models give rise to different conclusions based on the number of parameters in the model under consideration. They illustrated how omitting terms in a more general model will change the appropriate experimental design for the sub-models. Models considered were of up to third degree in two variables and linear in the parameters. Lastly, results in the linear models can be compared to a limited class of non-linear models. JPL is interested in finding the optimal data set and parameter set to obtain the best predictive results from the proposed linear regression model. Accurate specification of natural radiation environments have an impact on the design of space electronics. Poor specification of the environment and its effects can cause serious system anomalies and loss of mission capability. The radiation belt environments have not been updated in 20 years. The objective of this study is to use newer satellite data to upgrade and update Van Allen belt inner zone electron radiation models at low altitude. The low altitude radiation belt models are based upon early satellite results. The more recent satellite data have not been organized into model form and compared with the accepted models. This task will do this comparison. Inlet and exhaust cavities can be important sources of scattering for low observable “stealthy” vehicles. Analyzing these cavities considered as waveguides may provide a simple characterization of the cavities’ radar backscatter. Task I. Consider a rectangular and circular waveguide coated with a lossy (complex permittivity and/or permeability) isotropic material. Develop a computer code to calculate the energy transmission and attenuation per wavelength of the waveguide for the lowest modes of propagation. Extend this method to high model scattering. Perform optimization studies of attenuation for specific classes of materials. Task II. Generalize Task I to consider a coated waveguide with N-Layers of isotropic material (cf. “An Investigation of Reflection, Transmission and Absorption of Electromagnetic Energy,” 1988/1989 Mathematics Clinic Final Report to B-2 Division). Task III. Time permitting, generalize Task II to consider anisotropic material (cf. op. cit.). The objective of this project is to investigate the possibility that competitive populations that model attrition and reinforcement exhibit chaos, and, if so, to investigate ways to ameliorate the effects of that chaos. This project is a follow-on to the work already started by Harvey Mudd College in developing statistical process control systems for hybrid lead bond operations. With Harvey Mudd’s assistance Teledyne wishes to review, study and implement a direct linkage between the testing/evaluation system and the automated wire bonding process. What is envisioned is a data linkage between two test systems and a computer/controller which will take precalculated statistical parameters from the two machines and calculate and continually monitor this statistical data. The controller/computer will also monitor the auto bond machine, and with these inputs send out updated optimized parameters (power, time and pressure) to the auto bonder. Teledyne is looking to Harvey Mudd for not only proof of concept, but to presenting a full-up working model. The clinic will study heat transfer produced by electric current and its relation to electromigration phenomena in transistors. The VEHICLES project is a two-fold effort in the construction of a database of knowledge related to the design of satellites. VEHICLES is a system for the conceptual design of satellites. The intent is to create a design aid with real knowledge of the practical as well as theoretical aspects of satellite design, consisting of several cooperating expert systems operating on a common database. The VEHICLES system, even with the limited data so far entered, has proven a valuable tool in the solution of practical problems, while at the same time cutting new research ground in the design of expert systems. The first effort involved the team in the design of the database. They then proceeded to aid in the specification of the content and organization of an experimental database for use by the VEHICLES research project. This database was used by the VEHICLES system in performing trade studies and comparisons of new designs with systems which have already been designed. Continuation of the ’87-’88 project which examined the classification of ideal images. This year the efficiency of the algorithms developed were addressed, noise sensitivity was analyzed, and last year’s results in rotational invariance were applied to the continuous transformations or groups of transformations. New results could make it possible to classify images after they have been distorted or scrambled. The JPL clinic project addressed the problem of scoring the degree of match between an observed signal and the known characteristics of various potential signal sources such as radios and radars. JPL was interested in studying the performance of both the standard scoring method and alternate methods. The clinic was responsible for the statistical analysis of the problem, the development of a computer simulation which captures the essential ingredients of the problem, and for analysis of simulation results. The in-flight aeroelastic stability of aircraft is determined by estimating the damping of elastic structural modes of vibration. However, an algorithm has been developed to determine the aeroelastic stability without requiring the estimation of damping. The approach applied in this project was to further research and improve this new algorithm. The research consisted of incorporating a model for sensor noise, of incorporating a self adaptive algorithm, of providing the capability to analyze measured forced responses and programming the algorithm to run in real time. The end-item of this interchange was a written report and a computer program. The propagation, reflection and refraction of electromagnetic energy is easily computed for non-conducting and very conducting media. In order to solve electromagnetic problems encountered in aircraft design, the general case of arbitrary conductivity must be considered. The first task of this team was to develop the equations for transmission, absorption and reflection for a plane electromagnetic wave incident upon a general “n-layered” medium. The team created algorithms for both isotropic and anisotropic materials. The team also researched optimization of the reflected wave and wave propagation in waveguides. This program should attempt to influence the output of some 5–10 manufacturing processes by establishing process control through statistical analysis. Included in this project could be a combination of statistical procedures involving Pareto Analysis, Standard Deviation, Cause and Effect Analysis, Process Capability Studies, and Test for Special Causes. By using high altitude weather forecast information, some fire indices have been developed to optimize the allocation of fire fighting resources. These indices were analyzed to assess their reliability and probabilistic distribution. A computer program was developed to display this information in an easily usable graphic form. Outgassing is a process by which molecules migrate out of a material body into its surroundings. This process can become the source of contamination, particularly in the near perfect vacuum conditions encountered in space application. The proposed project developed a predictive mathematical model of outgassing based on physical principles. When the target object is close to the sea surface, radar signals reflect from that surface as well as from the object, and a signal may have traversed a number of paths on return to the emitter. This gives a number of ghost images. The latter might be reduced by choice of a frequency at which the sea surface is most absorbing. The goal of the Clinic was to identify that frequency. First a statistical model for the sea surface was constructed and its reflecting and absorbing properties analyzed. Then the radar power loss could be computed along the various paths and estimates made of the images. This project investigated the feasibility of using neural networks to recognize two-dimensional objects with up to twenty degrees of rotational invariance. The investigation took two paths. The first was a continued mathematical analysis of general neural networks with the aim of determining the theoretical limits of rotationally invariant object recognition. The second was the refinement and systematic use of the ATHENA software to simulate a variety of neural networks which the theoretical work suggests as candidates for successful rotationally-invariant image classification. These two approaches complement each other and were pursued in parallel, with constant interaction between them. Problem 1. Physical and geometrical parameters used in modeling the flow of current were not known and were hard to measure. They were inferred (“parameter extraction”) from current measurements. The clinic addressed how the latter can be reduced, retaining good accuracy on the extracted values. Problem 2. Formulae were based on infinite length, infinite width models. Terms to correct for finite values could be added with coefficients identified by regression from measurements. The clinic addressed what values of length and width are measurements to be taken for optimal results. JPL had developed an operating system based on the Time Warp synchronization mechanism, which is a method for extracting concurrency from asynchronous, object-oriented computer simulations. While initial speedup results had been obtained for a war game simulation running under Time Warp on the Caltech Mark II Hypercube, no other “benchmarking” of Time Warp had been completed. Flight flutter testing is conducted on new and structurally modified research vehicles to verify the absence of aeroelastic instabilities within the flight envelope. This testing is accomplished by establishing frequency and damping trends for all excited elastic modes of the structure. Frequency trends can be established with excellent accuracy. However, the estimation of damping is difficult and results in appreciable data scatter. Methods currently being used to estimate frequency and damping from response data include fast Fourier transform, recursive filter and extended Kalman filter techniques. New techniques that predict the flutter boundary without requiring the estimation of damping were researched. The technique chosen through this research effort was to be rapid, accurate and capable of predicting flutter boundaries from random, forced, and impulse response data. A computer program written in Fortran demonstrated the technique on either actual flight data or computer generated data. This project entailed the development of a lexer and a parser in MIL-STD-1815A Ada. This project was a continuation of the Engineering Clinic project done for General Dynamics in the 1985-86 school year. The project constructed a mathematical model of an interconnected neural network with a view to applications in image classification and pattern recognition. Part of the task of the clinic team was to survey current methods for modeling such networks and decide on the particular modeling approach. The selected model was mathematically analyzed and a computer simulation was used to test it. A map displaying tactical information is an invaluable strategic aid to a battle commander. Enemy radar signals themselves, can be rich sources of tactical information. The clinic investigated methods of analysis of these signal parametrics to improve the statistical accuracy in locating and identifying enemy units in the battlefield. Problem 1. A JPL Scientist had invented a device to measure the resistance of a single contact on a chip. Statistical extrapolation from data of 1,000 measurements did not give good results for the whole chip (15 million contacts). The clinic investigated more appropriate probability distributions, taking into account the fabrication process. Problem 2. A small team (two students) under Prof. Ellis Cumberbatch’s direction looked at a separate problem of modeling the source region of a MOSFET and finding its resistance. This involved solving a simple partial differential equation in a complicated region. This project involved the creation of a mathematical model for deciding the best defense of a specified region from attack by non-nuclear ballistic missiles. The defensive sites typically overlap, defending a wide variety of possible targets which make allocation of defenses more difficult. Previous approaches have used game theoretic models with stochastic elements, but there was no restriction on the approach the team could use. The project concluded with an implementation of a specific algorithm on the computer. The occurrence of more than one fire at a time creates extra demands on fire-fighting resources and results in outcomes that may be different from situations where fires occur in nonoverlapping time periods. The California Division of Forestry wanted to quantify the differences between multiple and single forest fires based on data acquired during the past five years. GAPCO needed better analytical capabilities for further bearing designs. The task of the project was to construct mathematical model(s) for floating ring bearings for high-speed turbo machinery applications. The model(s) were to be used to calculate bearing stiffness, damping characteristic, bearing stability, limit cycle and power loss. Testing and empirical verification was performed by GAPCO. During the past several years, major technology advancements have made feasible (affordable) the processing of photographic images into realistic video scenes at 30 frames per second TV rates. The Honeywell system of Computer Generated Synthesized Imagery (CGSI), based on a linear warp algorithm, was analyzed by one of last year’s clinics. The goal of this year’s clinic was to extend the analysis into other areas of the problem including true warp algorithms and minimization of disturbing artifacts such as aliasing, scintillation, and Moire effects. Other problem areas were also identified and examined during the course of the clinic. The project developed algorithms, definition of performance characteristics for such algorithms, and a mathematical theory for measuring the performance and comparing algorithms. Field effect transistors are semi-conductors used in electronic devices. Their properties had been modeled previously by one-dimensional approximations. Now that their dimensions were being systematically reduced, more sophisticated modeling was required. The application of differential equations and computer programming were the prime tools. The problem concerned the effect that various sensor errors (random and systematic) have in determining the location of an object. Statistical analysis was used to determine best estimates of locations in two and three dimensions. Perkin-Elmer’s mass spectrometer is used in monitoring environmental spills, breath of patients, etc. Last year’s team applied statistical analysis to determine the dwell time (the time spent at each location of mass/charge). Additional factors were considered with the view to optimize the use of the machine. The project was not heavily statistical. Because implementation was limited by PC capabilities algorithmic inventiveness was a priority. “Remote sensing systems routinely provide multi-spectral information and digital image processing provides qualitative tools for visual interpretation as well as quantitative tools for categorizing this information. Multispectral classification, a common approach to computer-aided mapping, was used to reduce the large, apparently unrelated, amounts of information to a set of features with similar reflective or emissive properties. A classifier algorithm must first compute the statistics which describe these features and then attempt to isolate unknown spectral signatures into the appropriate class using the predetermined statistics to define the decision boundary between each category. The purpose of this project was to develop an automated radar waveform and signal processing analysis tool using a symbolic manipulation package. This facility can be used to demonstrate the effectiveness of radar analysis program by analyzing a simple pulse radar, a high range resolution chirp radar and a synthetic aperture (SAR) radar. This project involved the construction of a general mathematical model of the radar transmission/receiving channel for a moving point target. The model should include N-point diffuse multipath scattering with one point specular reflection and arbitrary transmit and receive antenna gain functions. The output of this model is expressed as a function of range, range rate, transmitted phase and dynamic time delay and phase compensation. The resulting general set of equations was implemented symbolically on a digital computer using a symbolic manipulation package. An interface program was developed for interactive manipulation of the transmitted modulation function and signal processing. The output of the program provides spatial and doppler resolution (ambiguity function) 2D and 3D plots, symbolic representations of the resolution functions, and plots of sensitivity to motion and phase compensation errors. During the past five years, major technology advancements have made feasible (affordable) the processing of photographic images into realistic video scenes at 30 frames per second TV rates. The purpose of this project was to enhance the evolution of this technology by performing mathematical analysis and algorithm development for transforms to produce “true perspective warp”. The team developed alternative warp transformations which approximate the true perspective and which are based on a sequential processing of raster arrays of pixels as a method for achieving real time processing of images. In particular, the team suggested improvements in the current Honeywell warp algorithm. Mathematical models of semiconductor devices contain parameters which are difficult to measure experimentally. The clinic extracted values for such parameters by applying mathematical techniques to optimize the model behavior by comparison with experimental data. In addition the construction of new models was also considered and their properties examined by application of mathematical analysis. The models are used to discuss problems of circuit design on chips and in VLSI devices. This was a continuation of last year’s clinic. The work derived from the problem of updating and reviewing the information gathered by a variety of sensors so as to identify various objects in a scene. Various statistical analyses were performed to correlate the current database with the incoming information and to provide new estimates. Assumptions were made about the statistics and the models were tested on the robustness of these assumptions. The proposed effort involved a simulation study of LDR involving such disciplines as structures, dynamics, materials, optics and thermal effects. Thus a simple basic model and the structure was developed, parallel to the contractor’s effort involving finite element modeling and subsequent analysis of the model was achieved by utilizing the STARS program. A VAX 11/750 computer in conjunction with a E/S PS 300 3-D graphics terminal was extensively utilized for pictorial, real-time dynamic simulation of the structure. The project called for a study of mechanizing Pacific Bell’s system of cable and conduit records. The present mapping system inventoried a multibillion dollar cable network throughout California and Nevada. Pacific asked Harvey Mudd to join in its plans to automate this large and complex system. The project involved system analysis, economic analysis, and development of a model to fit Pacific Bell’s needs. A weighted least-square technique was used in analyzing spectral data from a mass spectrometer. In the presence of statistical noise, equations were selected from an overdetermined system with a view to minimizing the total time spent scanning the spectrum, to achieving a required degree of accuracy and to maintaining an ability to detect the presence of unanticipated compounds in the sample. This project studied the relatively new field of electromagnetic propulsion, developed and examined mathematical models for specific environments, attempted to derive analytical solutions in special cases, and developed numerical solvers for boundary value problems for Maxwell’s partial differential equations for superconducting electromagnetic applications. This was a continuation into a second year of an existing project. The existing model of this device was extended to incorporate the effects of prestress, three dimensionality and viscosity. This clinic developed mathematical techniques and simulation programs which generate multivariate normal, gamma, and lognormal distributions with a specified dependency between the vector components. Theoretical and sample multivariate skewness numbers of these distributions were also developed. The results indicate that the statistical tests are sensitive to skewness in the distributions but are not affected by slightly differing covariance matrices. When two flying objects are maneuvering relative to one another, the two-dimensional displays currently used to aid the pilot proved to be inadequate, and it was unclear which kind of three dimensional displays would be better. The project team analyzed geometries necessary to mathematically describe such moving objects, and developed algorithms and software for implementing appropriate displays on the computer. This project continued the work of the previous year’s project team in which a computer program was developed for analyzing the transient thermal behavior of a hybrid microcircuit structure. This was a continuation into a second year of an existing project. The team extended the existing model of this device to incorporate the effects of prestress, three dimensionality and viscosity. The validity of various radar detection techniques was examined in order to refine and improve existing computer algorithms. Some years ago, Teledyne Microelectronics developed a steady-state thermal analysis program for hybrid microcircuit structures. The purpose of this project was to develop an extended analysis technique to include the transient (time-dependent) portion of the solution. The clinic project generally was concerned with automatic determination of the pitch of the spoken human voice as a function of time. Pitch is one of the key parameters required in the generation of synthetic speech. The initial thrust of the project was development of a hybrid pitch detector which optimally combines a number of known pitch detection algorithms. Next was development of an analysis of synthesis technique which determines pitch parameters via comparison of actual and synthesized speech. This project developed a mathematical model for the effect of forest fire on the underlying soil. The purpose of this project was to investigate methods for improvement in numerical dispersion and grid orientation in the finite difference formulation for the two-dimensional, two-phase immiscible displacement problem and to develop new techniques to overcome these effects. The ARCO CRAY-1 was available for use by the project team via a time-sharing arrangement through the VAX. The Technical Programs Group at General Dynamics, Pomona Division, has built an internal organization to forecast breakthrough technologies, and developed eight-year strategy plans to exploit them. This project developed models to facilitate these forecasting and planning efforts. Useful tools were drawn from the areas of managerial economics, statistics, operations research and finance. The spring semester 1981 was devoted to problem formulation, preliminary model construction and data collection. Model refinement, solution, validation and interpretation was implemented in a flexible planning system during 1981-82. Long range planning in areas involving emerging technologies is becoming increasingly important to the aerospace and defense industries. The Technical Programs Group at General Dynamics, Pomona Division, has built an internal organization to forecast breakthrough technologies, and developed eight-year strategic plans to exploit them. The problem for the Math Clinic project was to develop models to facilitate these forecasting and planning efforts. It was expected that useful tools would be drawn from the areas of managerial economics, statistics, operations research and finance. These models would have to be in terms for which data was available, in order to have explicit applications. Because of the inherently volatile nature of the business, an adaptive feature was important. Because of the varied uses and users which were anticipated, simplicity was also of some importance. Spring semester 1981 was devoted to problem formulation, model construction and data collection. It was planned that refinement, solution, validation and interpretation of the models would be implemented in a flexible software system during 1981-82. The purpose of this project was to study Interstate Electronics’ speech recognition device and to make recommendations for possible modifications. The purpose of this project was to aid Lockheed in certain aspects of airplane design. Significant attention was paid to solving a class of linear systems. Investigation of various LPC modeling algorithms using metrics other than least squares (e.g., Chebyshev, etc.) which will improve performance as perceived by the synthetic speech listener. This may require work with an array processor–possibly via remote hook-up. The team was given a 3-day orientation course on LPC speech modeling at the TI Dallas site. The purpose of this project was to study procedures for attacking large fires. Of particular interest was how personnel and equipment should be deployed in the first stages of suppression. As a large organization, the Forest Service needed to coordinate activities in its research branch. This project investigated ways of doing this using network analysis (related to graph theory and combinatorics). The purpose of this clinic was to develop software to automate payroll, billing and scheduling of work done by the Physical Plant of the Claremont Colleges. The purpose of this project was to develop a mathematical model for the operation and management of the physical facilities at Claremont Graduate School. A continuation and extension of the cooperative research program begun in 1979-80 between the Mathematics Clinic and Rockwell Energy Systems Group scientists aimed at evaluating and improving the efficiency of time-integrating algorithms used in following nuclear reactor overpower accidents. This project was also involved with the analysis of the stiff systems of differential equations arising during overpower transients and with the study of numerical instabilities often encountered. The overall goal of this project was to advance General Dynamics’ capability to design and analyze effective guidance systems. Building on work performed for the past two years, this year’s team concentrated on further developments of the Kalman filtering scheme and the inclusion of important nonlinearities. This team continued work performed during the past two years aimed at studying Interstate’s automatic word recognition system. A detailed investigation of the structure and empirical characteristics of feature sets required for speaker independence and speaker normalization was made. This project concentrated its efforts on studying efficient numerical methods for the solution of large systems of linear or quasi-linear equations. Such systems arise in modeling aerodynamic flow and diffusion processes, and their solution accounts for the expenditure of much computer time at Lockheed. This project was concerned with the design of an interactive application software program of color presentation transparencies using color raster graphics products. Such systems now exist but tend to be very expensive turn-key packages. Using Megatek’s proprietary general purpose graphics package, TEMPLATE, the applications package developed was designed for convenience and good human factors, as well as to provide the basic ability to layout text strings for alphanumeric information and the ability to include pictorial information already defined in the form of TEMPLATE graphical data structures. This project was concerned with a stability analysis of a passive communication satellite concept known as PACSAT. This device consists of 1.5m sections of steel wire of diameter about 1mm which are hinged together with friction joints to form a one-dimensional diffraction grating of total length 1.5km. A typical orbital altitude is about one earth radius, and when irradiated from the earth, PACSAT acts essentially as a one-dimensional diffraction grating producing a high gain cone whose cone angle is frequency-dependent. The concern of this project was focused on the adequacy of gravity gradient forces to keep the orbiting PACSAT in a stable configuration of a nearly straight line directed toward the earth’s center in spite of expected perturbing forces (e.g., solar heating, eclipsing, non-sphericity of the earth, etc.). Small deviations from this nominal configuration above narrow tolerances would severely diminish PACSAT’s usefulness as a communications satellite. The purpose of this project was to study various interpolation techniques applied to functions of several variables which were evaluated at irregularly spaced points. Aerodynamic coefficients were determined from the test data of wind tunnel experiments and from locating the vehicle’s center of mass as a function of its weight and angle of attack. Work involved various aspects of numerical analysis and the study of computer algorithms. This project initiated a cooperative research program with Rockwell Energy Systems Group and emphasized the evaluation of efficient numerical procedures for solving stiff systems of differential equations which arise in the study of fast nuclear reactors. Such stiff systems arise from the subtle interplay of neutronics, hydraulics, heat transfer, and various other processes with widely varying associated characteristic time constants. This project advances General Dynamics’ capability to design and analyze effective guidance systems. The team continues the study begun last year aimed at developing an efficient parameter search routine to optimize the parameters of a classical homing-guidance system. The need was for a compiler written in FORTRAN which could convert programs in a high level language into object code for various microprocessor-based systems. The first stage of the project consisted of a needs analysis leading to specifications for the software to be developed. The aim of this project was to facilitate the installation and smooth operation of a 32-port VAX PDP 11-780 computer for CMC, HMC, Pitzer, and Scripps, to support instructional computing at HMC and the other colleges. The team assisted in the selection and installation of all terminals for the CAUSE net, and documented the advantages and disadvantages of hardware options. It also developed a system for managing and monitoring computer use, and prepared materials and conducted workshops to facilitate the use of the VAX. The College business office is required to manage operations which have continuing and regular expense profiles using cash generated on a variable and irregular basis. This project developed an algorithm to optimize the management of the cash accounts of the college. Interstate Electronics has developed a voice-input system that can be used as the front end of a variety of computer and technological applications. This year’s project team continues work begun last year aimed at raising the rate of correct recognition for the Interstate Electronics system. Particular interest centers on the determination of an optimal set of features extracted from the raw wave forms characteristic of human speech and the perfecting of a recognition algorithm. This project, a continuation of previous work, was administered by the Institute for Decision Science at CMC, and was a statistically based project aimed at establishing lower confidence bounds for systems of interest to the Navy. The purpose of the project was to look at the mathematical aspects and physical constraints of a “game” involving a surprise attack on our 25 bomber bases by 2 or 3 Soviet submarines, and our retaliation in hopes of describing a generalized model for optimal strategies for both sides. This project completed work initiated two years ago aimed at providing an effective tool for the prevention and control of fires in the chaparral lands of California. The most promising of the algorithms for minimizing losses due to fires previously developed was modified and tested with the help of personnel from the Fire Laboratory. A study was conducted of conditions under which convergence of the mathematical algorithms could be assured, as well. The U.S. Forest Service embarked on an ambitious program to construct a “Fire Management Financial Evaluation Model” for the purpose of developing optimal strategies for containment and control of wildfires. Continuing the work of last year’s Clinic team, efforts this year concentrated on verifying and extending statistical models for fire occurrence. The team experimented with various stratifications of the parameter space and investigated the applicability of non-parametric estimation methods. The goal of this project was to find the most efficient method for numerically solving a class of initial value problems. Discontinuities in some of the functions involved will make some sort of algorithm for automatically varying the stepsize an essential part of any such method. One such method developed was Runge-Kutta-Simpson; another one considered was a predictor-corrector method. Other, more recently developed methods found through a literature search were also considered. The team studied the basic equations in the current Clinic model of non-equilibrium montmorillonite compaction and diagenesis, with the aim of deciding whether these equations adequately represent the physical phenomena. The team also analyzed recent output from the current computer numericalizations of these equations to determine to what extent they are being satisfied; questions of numerical stability were also considered. Simplified models were developed and relevant computer testing carried out. After studying a model for a homing-guidance system, the adjoint method of analysis was investigated in conjunction with an optimal parameter search. The main objective was to develop an efficient search technique which works for a wide range of initial conditions of parameters. In this project models of modern combat duels and engagements were constructed and considered with the view of determining the sensitivity of any unit’s or team’s measure of effectiveness based on its design specifications, operator training, and field manual. Particular attention was focused on engagements between helicopters and ground vehicles. The team made a detailed investigation of the structure and empirical characteristics of the existing Interstate Electronics word recognition system. Three methodologies were developed to aid the analysis—graphical methods, transition analysis, and distance tables. The second stage of the project was devoted to formulating possible improvements to the system. These range from changing single bits in a coding scheme to implementation of a learning algorithm or improvement of recognition. The team carefully examined the Fire Service management decision-making tools developed during last year’s Clinic project with the aim of making tools more practically operational. One particular focus of the team was to try to find methods to overcome the computational difficulties that are expected to be encountered in using the tools due to the largeness of dimension in the model underlying the tools. The development of alternate and/or new decision-making tools was also considered. Methods for making decisions about purchase, design and refurbishing of buildings, for choices among competing alternatives. The rationale for this approach to estimating the true cost of a structure over its lifetime was investigated and developed. A catalog of cost categories was constructed and utilized, including initial costs, site development, energy costs, maintenance and salvage costs. A computer program, and a user’s manual for it, were prepared to cover a wide class of applications. The abnormal pressures are found during oil well drilling. A mathematical model has been developed incorporating deposition of different material layers over millions of years, and their subsequent compaction. Release of bound water (diagenesis) is included. The purpose of this project was to modify this model to include the modeling of leaks (transverse water flows), and variable densities. The team continued work on a complex model of vertical fluid flow over geologic time through the pore spaces of a compacting sedimentary column, taking into account fluid production by diagenesis. The computer program for approximating the solutions of the equations of the model was substantially improved. Knowledge of the distribution of atmospheric carbon dioxide concentration is valuable for determining the effects of CO$_2$ emission/absorption and alleviating the problem of nearfield interference in infra-red sensing devices. Two foci of this project’s work were the lower troposphere (0-2km) and mid troposphere (2-10km). Based on meterological and meteortopical considerations, mathematical models of certain scenarios were created; numerical schemes and some closed form solutions for the governing partial differential equations were developed and implemented. In at least one case the estimates of the physical parameters were incorporated to produce a “picture” of CO$_2$ distribution for the scenario. The team developed a mathematical model of the dynamics of a T.V. camera-gun-target system controlled by digital rather than analogue devices. The problem of estimating the target locating when it has been obscured for some time was studied and the team developed an algorithm for it. The team also developed computer programs for implementing the above models. Efforts to discover evidence of intelligent extraterrestrial life have recently been undertaken in several places, including JPL. The essence of the JPL approach is to perform broad frequency sky-surveys, using sophisticated receiving and data processing systems. In this project the team worked with scientists from JPL to analyze the methodology associated with the design of very large fast Fourier transform data processing devices. The team was asked to conduct a mathematical study of sources and effects of errors in the data processing. Topics which were considered included effects of analog to digital conversion and sampling error, memory precision and rounding, machine arithmetic, and Fourier coefficient quantization error. A considerable search of the mathematics and engineering literature yielded many useful techniques for analysis, which in most cases needed significant adaptation to the JPL project. The team was successful in accomplishing that adaptation and in providing original analysis in some project-specific instances. A continuation of last year’s project, validation of the contour mapping program and optimal interpolation parameters and additional geographic factors were stressed. The predictive model was thoroughly tested against experimental data, and modified when necessary to increase its accuracy and efficiency. In particular, empirical models were introduced in at least two instances where the physics and chemistry is not properly researched or understood. The applicability of new mathematical procedures, including a non-linear finite-element method and perturbation techniques, were investigated. Investigations of cluster analysis, discriminant analysis and pattern recognition continued in order to develop efficient methods to organize data from simulation testing. In addition to continued search of the literature and developing the background theory, programs for different types of algorithms were written, tested, and compared on artificial and real data. In addition, some further study of the Myhre-Saunders model of reliability was undertaken to determine its area of applications and to increase its usefulness. Computer simulations were used to study the robustness of the model and to develop a lower confidence bound procedure. The team developed mathematical models to assess possible fire control strategies for chaparral lands in Southern California. The mechanism of control lies in the creation of regions of younger fire-resistant chaparral interspersed among areas of older highly flammable chaparral. This could be achieved by setting controlled fires under favorable conditions for containment, by using herbicides, or by a variety of other strategies. The expectation was that the total cost of fires in terms of human and animal life and loss of watershed and property could thus be minimized. Relevant literature was searched, and with this information a computer model was developed to predict best mixes of chaparral, age-class mosaic sizes and distribution. Continuation of ’75-76 project. Effort in 1976-77 was concentrated on the development and solution of a system of differential equations describing the space–time dependence of the reactor fuel assembly. A novel fluid model was created and used to provide information of use in following the restructuring of the fuel. For the past two semesters, mathematics clinic teams have constructed and digitally simulated a mathematical model of a consolidation process for predicting abnormally high fluid pressures in sedimentary basins. This clinic team validated the model and extended it by taking into account other physical aspects, such as diagenesis, present in the consolidation process. This clinic project designed, coded and documented all the computer graphics programs that are needed to display and change positions and courses of sea vessels on two cathode ray tube screens driven by a minicomputer. This program is part of a system that is now being used to train sonar operators. This project designed and implemented a program for the computerized photocomposition of documents. Portability of the program was a major objective. The program design and implementation permitted the program to be installed with relatively modest additional effort on any medium to large computer system supporting ANS FORTRAN. The program does not drive typewriters, printers, or special-purpose photocomposition devices. This project developed a mathematical model for the concentration of certain pollutants in underground water. A computer program based on this model was also produced by the project. This program can be used to determine nitrate concentrations in the groundwater and to produce graphical displays of such levels. A procedure to adaptively direct the experimental search of new classes of recipes was formulated to assist the client in finding the paints with improved properties. Under prolonged exposure to high operating temperatures and radiation levels, nuclear fuel elements may swell and distort. Such alterations in geometry pose special problems in terms of hazard and predictability. This project team utilized a Gordon-Hall mapping technique for handling the deformed boundary/interface geometries and developed a semi-discrete Galerkin approximation for solving the time-dependent heat conduction equation throughout the fuel assembly. This project designed an empirical mathematical model for use in forecasting economic activity levels for various sectors of the Electronics Division domain. Abnormally high fluid pressures are frequently encountered in drilling for oil. Increased costs and safety problems have led the client and other companies to develop various predictive models for such excessive pressures. In this year-long project, some improved models have been proposed and computer simulations have been written to compare predictions based on these models with actual field data. A mathematical method was devised for predicting, on the basis of knowledge of how many jury trials are scheduled on a given day, and the nature of the cases, how many people must be called for jury duty on any given day in a number of courthouses. A method for testing these predictions on a small scale in advance of any large scale implementation was proposed. Models used to describe pollution transport in the atmosphere can be roughly classified as either 1) point source models or 2) urban air-shed models according as the volume of air under consideration is not, or is, relatively “well mixed” respectively. A point source model based on the concept of a “Gaussian puff” was developed and described. A novel mathematical model, intended for use in urban environments and based on the fractional calculus, was also developed. The fraction calculus model has the potential for calculating accurate relative, rather than absolute pollutant concentrations at considerably less cost than conventional urban models. This project was concerned with an analysis of a type of missile guidance system known as laser beam rider. The distinguishing feature of this system is that the launcher rather than the missile tracks the target. While tracking the target, the launcher projects a coded laser beam of controlled width along the launcher/target line of sight, and the missile need only be capable of following this beam as it moves through space. This project analyzed alternative schemes for minimizing shortcomings of the laser beam rider system and assembled the relevant graphic data to facilitate the design of systems to meet criteria. This project developed a mathematical model of the highly undesirable phenomenon of scintillation which occurs on rear projection screens. Scintillations could not be eliminated experimentally, and the client desired an understanding of its basic nature and of the parameters governing its behavior. A computer program based on this model was developed and used to assess the effect of various pertinent parameters on the scintillation phenomenon.